← Triskaidekaphobia? Friggatriskaidekaphobia? Not me…. To Everything There is a Season….. There is a huge tree outside my office window. I’ve grown quite attached to it over the last couple of years. It has been my companion through the ups, downs and stresses of my work days. My office is one of the few that has a window so I consider myself fortunate. My tree has character. 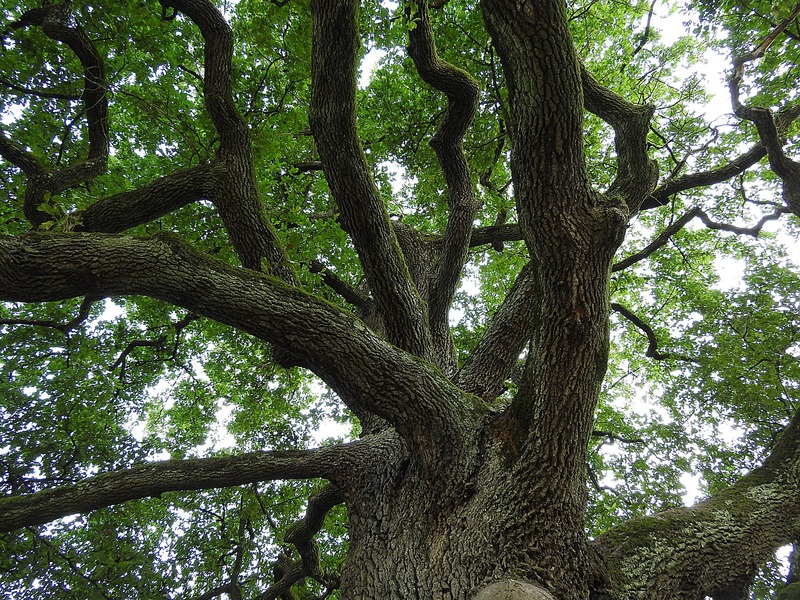 It has extensive, sprawling, gnarled branches. It is the kind of tree that you might expect to see in The Wizard of Oz, but much larger. I can’t really explain why, but watching it grow and change outside my window seems to bring me peace and solace which is a stark contrast to the chaos that is often inside my office. Right now, there are only a handful of leaves left on its branches, but I know that in a few months they will be covered with tiny green buds. I also know that seemingly overnight those buds will literally burst into thousands of brilliant green leaves hiding its twisted branches from my view. I know this because I have watched it happen season after season. I have seen the tree appear almost dead in the middle of Winter then bud out with new life and new growth in the Spring. I have seen it full of life and covered with leaves in the Summer only to drop those leaves again in the Autumn. So today as I gaze out the window at my tree and its barren branches, I know that this is a temporary condition. I know that it will be plush, green and beautiful again. I know that there is a season, time and purpose for everything. I also know this to be true in my life. When life is difficult and trials seem to overwhelm me, when my soul feels as barren and lifeless as the branches on my tree, I know that this also is a temporary condition. I know that in time, the season of trials will pass and it will produce new growth and new life to my weary soul. 7 Responses to To Everything There is a Season…..
What a lovely thought on a dreary winter morning. Thank you for the reminder. I love your posts. They brighten my Sabbath morning. Thanks Rose. Your comments on them brighten mine…. Really needed this one..thanks!! Loved this…and I too would love to see a picture of the tree..